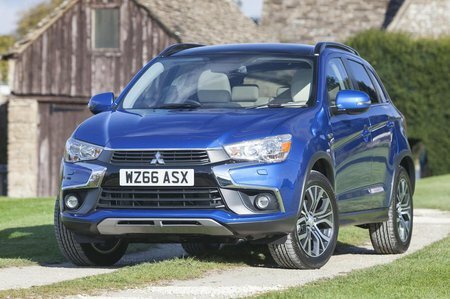 Mitsubishi ASX Boot Space, Size, Seats | What Car? 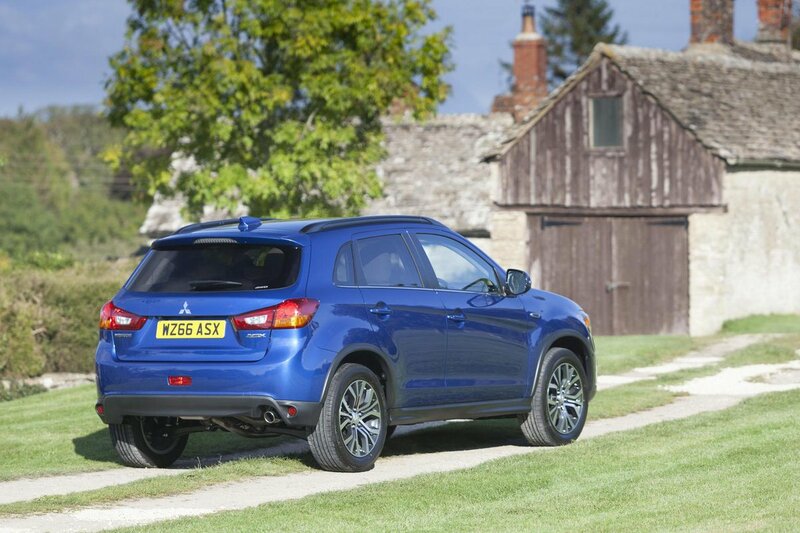 Despite being smaller than a Nissan Qashqai, the ASX feels adequately roomy in the front, but not class leading. 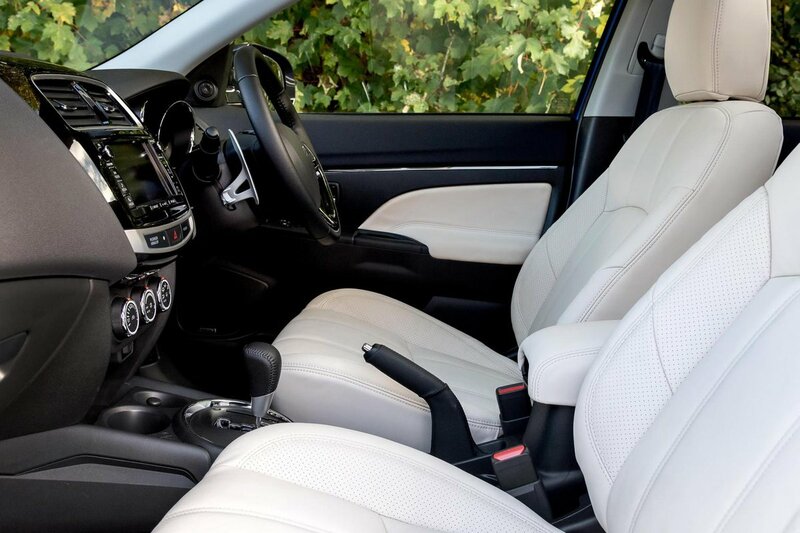 Providing you’re not well north of six-feet tall you should find enough head and leg room, but if you are an overtly lofty fellow you’ll find a Seat Ateca more generously accommodating all round. Access is good, thanks to wide door openings. Storage options pass muster, too. The glovebox is a sensible size, as is the cubby under the central armrest, which includes 12v and USB sockets so you can charge your phone. As well as this, there are two cup holders next to the gearlever, and another one in front of it, but the door bins are narrow and will only take a small bottle of water. Rear head and leg room is on par with smaller class rivals such as the Vauxhall Mokka X but beaten by the considerably roomier Nissan Qashqai and Seat Ateca. It’s fine for average-sized adults, but anyone tall will find their head brushing the roof-lining, and if the person in front has their seat slid right back, your knees will be wedged up against the back of their seat. The rear seat is quite wide though, so sitting three abreast is possible, as long as all concerned can accept there will be a bit of shoulder rubbing. Mind you, rear passengers don’t get door bins in which to stow their odds and sods, although the drop-down central armrest does contain a couple of cup holders. Standard 60/40-split rear seats are a welcome asset, but they don’t offer quite the versatility of some rivals that split in a 40/20/40 fashion. Unlike the Mokka X, though, there’s no need to flip up the rear seat bases before folding the backrests: simply pull the release levers and they tip forward leaving an unobstructed, flat load area. The rear seats don’t slide or recline, mind, and there is no option of a folding front passenger seat for those occasions when you need to carry really long items. All versions provide the front passenger with height adjustment, though. There’s 442 litres of load volume with all the seats in place, and the ASX’s boot is the same length and equals the minimum width of a Seat Ateca’s. All this means you’ll have no problem accommodating that large family shop or a fold-up pram – helped in part by a little added width created by recesses near the tailgate opening. A nice, wide aperture and only a small lip from the bottom of the tailgate opening to the boot floor means you won’t struggle too much lifting in those big, heavy loads, and under the boot floor you’ll find a decent amount of storage to separate loose or delicate items. For longer loads, the rear seats fold nearly flat, and leave a stepless load deck.